Farmers and rural communities are set to benefit from the recent round of funds from the Prince’s Countryside Fund. The Prince’s Countryside Fund has released £670,000 in grant support for rural initiatives and a host of farmers are set to benefit. The 19 projects due to receive support are taking place across the UK, aiming to enhance community services, provide training opportunities for young and unemployed people and focus on developing stronger, more sustainable farm businesses. The funding is set to assist rural communities in Devon, Cumbria, Herefordshire, Worcestershire, Cornwall and Norfolk. Fund chairman Lord Curry of Kirkharle says: “These innovative projects will provide a lasting legacy in so many rural areas. With an ageing rural population and a shortage of new entrants embarking on rural careers, Lord Curry says support for rural communities needs to be prioritised. “It is easy to forget the importance of rural businesses and family farms. Farming-related beneficiaries includes the Dartmoor Hill Farm Project (£44,000), the Pasture-Fed Livestock Association (£40,500), the Farming Community Network (£27,475), the Farming Life Centre £13,147) and the Scottish Agricultural Organisation Society (£50,000). Red Ruby Devon cattle are synonymous with the South West landscape and, as with many other native breeds, have experienced their fair share of challenges. But the breed has enjoyed a rise in popularity since 2000, thanks to its key attributes. 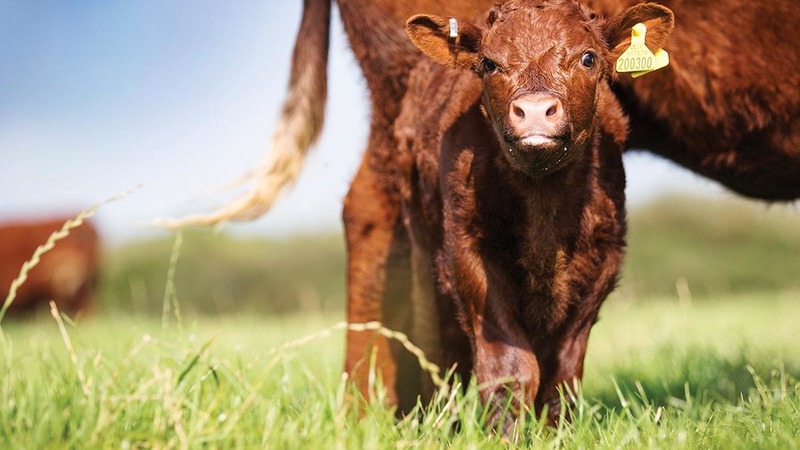 The society has welcomed £24,000 from the Prince’s Trust as it plans to build greater national consumer awareness of Red Ruby Devon Beef and support the 600 family farming members across the UK. “Grass-reared Red Ruby Devon Beef, with its fine texture and marbling, is probably one of the best beef eating experiences money can buy,” she says. “It is known by many of the UK’s Michelin-starred chefs as well as consumers in the south west, but it rather a well kept secret when it comes to national consumer awareness. As part of the society’s plan, 2017 sees the launch of a marketing campaign to raise awareness of Red Ruby Devon Beef to the benefit the hundreds of members whose own marketing efforts will also be boosted by the campaign. The new financial support will facilitate a new consumer-facing website for Red Ruby Devon Beef, with an interactive map to help consumers find their local supplier or retailer. The society will work with Lesley Waters, a featured chef on ITV’s This Morning, to produce a series of online video recipes and work closely with the food journalists, bloggers, television and radio producers. Lesley says: “This will give unique levels of access to farmers, chefs and butchers who make Red Ruby Devon beef the great food and farming story that it is. The Farmer Network is a farmer-owned, not-for-profit company which aims to support its 800 members sustain their businesses and maintain the environment, landscape and rural communities of the Lake District, Cumbria and the Yorkshire Dales. Services include a group fuel buying scheme, projects aimed at developing young farmers’ skills and facilitating knowledge transfer. The Prince’s Countryside Fund awarded the organisation £49,520 for 30 months as it aims to improve the resilience and profitability of family farms by developing its Grassroots Innovation Clubs, which engage farmers in knowledge transfer by using farmers’ own knowledge to help others develop their technical and business skills. This is assisted by a trained facilitator, with specialist advisers used where necessary, depending on the topic discussed. The clubs aim to help the participants’ businesses become more efficient and innovative in an increasingly volatile and uncertain financial climate. They also strengthen informal networks of farmers so they can support each other with meetings based on local farm data and sharing information. Veronica believes improving the resilience and profitability of family farms is particularly necessary over the next two years against a background of the Brexit negotiations and changes to support payments. The aim is to develop eight grass-roots clubs in the next two and a half years to help a total of 80 farmers. “Given the uncertainty about the future of farm support, we hope this project will help farmers make their businesses more resilient to change,” she says.